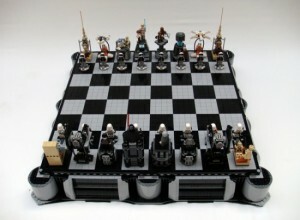 I just ran across this excellent Star Wars Lego chess set. It looks like someone made it for the Star Wars Days at Legoland California. The site has an English translation button for those interested in reading more background on the set.